Today, on March 16, President of Kyrgyzstan Almazbek Atambayev arrived in Saint Petersburg to negotiate with his Russian counterpart Vladimir Putin. “In St. Petersburg, the presidents are expected to discuss issues on agenda of the Kyrgyz-Russian cooperation, the implementation of joint projects, as well as the prospects of cooperation, including within the Eurasian Economic Union,” Atambayev’s press office said. The agenda of the high-level talks supposes discussion of the key issues of further Russian-Kyrgyz cooperation, first of all, in the trade and investment, cultural and humanitarian sectors, as well as in the field of energy, the Russian president’s press-office said. The sides will elaborate on the issues related to Kyrgyzstan’s accession to the Eurasian Economic Union. 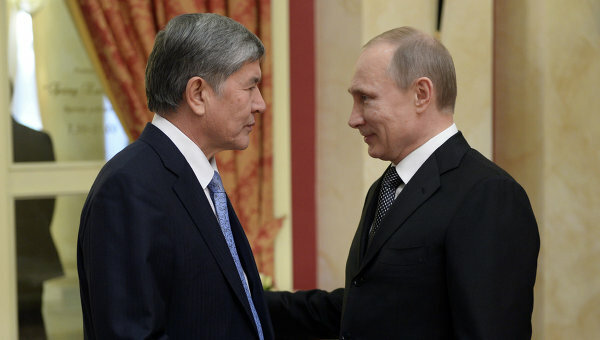 It will be the second meeting of Putin and Atambayev in 2015. At the first meeting in Sochi in early February, Putin called Bishkek as one of Moscow’s strategic partners in the Central Asia and welcomed the growth of the commodity turnover. “Kyrgyzstan assigns a high priority to the development of relations with its key strategic partner Russia. Our country’s accession to the Eurasian Economic Union will open great opportunities for enhancement of the bilateral ties in many fields,” Arambayev said earlier. 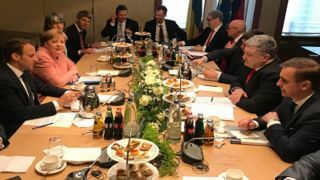 Last week, Prime Minister of Kyrgyzstan Djoomart Otorbaev said Kyrgyzstan looks to become a full member of the Eurasian Economic Union till May 9.